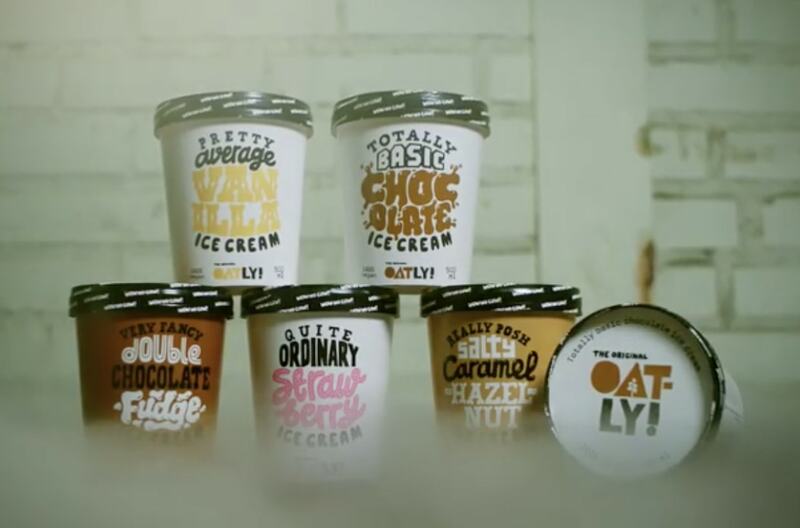 Swedish brand Oatly has added a line of vegan ice-creams to its plant-based line-up. The company - which is best known for its 'Barista edition' oat milk, announced the new products via Instagram. The new flavors include Pretty Average Vanilla, Totally Basic Chocolate, Very Fancy Double Chocolate Fudge, Quite Ordinary Strawberry, and Really Posh Caramel Hazelnut. The reveal video shows the five flavors piled up and surrounded by dry ice, to the strains of 90s hit 'Ice Ice Baby' by Vanilla Ice. The video was captioned: "TURN IT UP!!!!!!! Excuse all the caps, but we didn’t want you to miss out on the music because we spent an insane amount of money on it so that you would watch the video and think that the video was way cooler than if the video didn’t have any music on it that cost an insane amount of money. "So, for the sake of playing along and making us happy, TURN IT UP!!!!!!!" The flavors are currently only available in Sweden, Finland and Norway - but the company says it plans to introduce the product to all its markets.